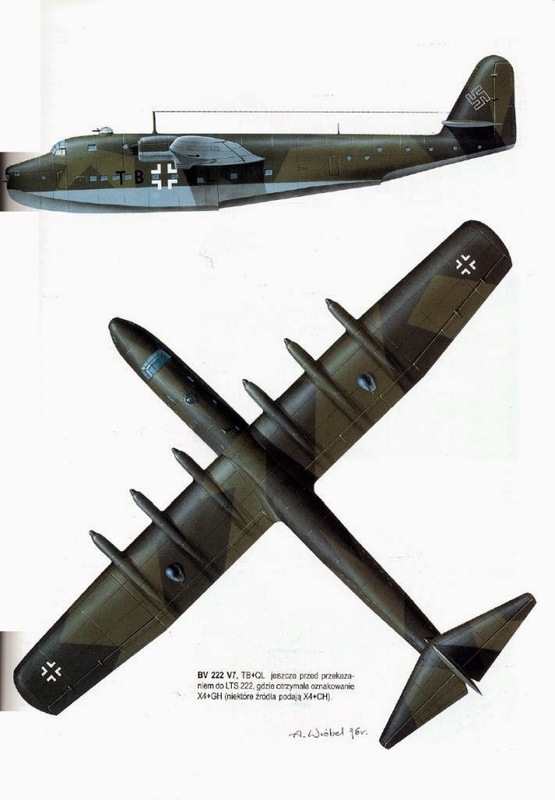 The Blohm und Voss BV 222 Wiking (Viking) was a large German flying boat of World War II. 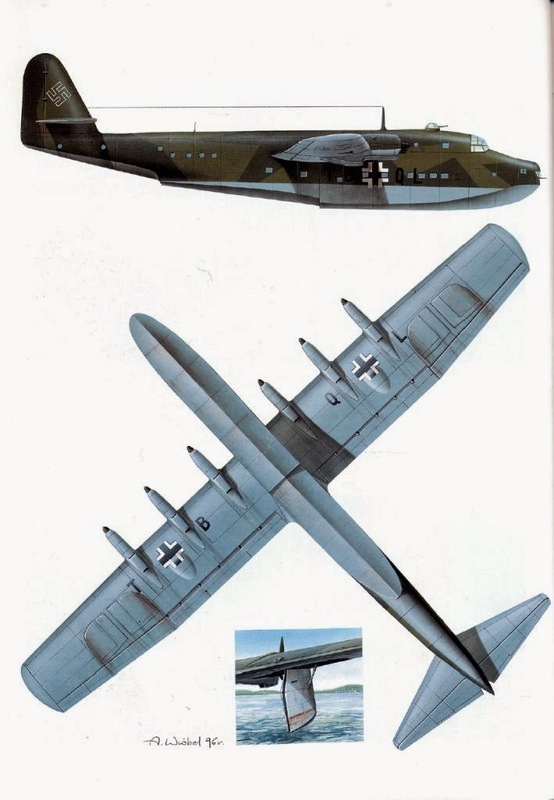 The BV 222 Wiking six-engined flying boat was originally ordered in September 1937 by Deutsche Lufthansa as a civil flying boat, but was quickly taken over as a military transport. A dorsal gun turret was added behind the cockpit. Rearward facing machine gun turrets were added on both wings. Access in flight through the wing was via a tubular wing spar of a metre in diameter. Engineers could also reach the two stroke diesel engines in flight via the same spar. The type was noted for a long flat floor inside the cabin and a large square cargo door aft of the wing on the starboard side. The flat floor was a welcome novelty for that era. Only thirteen aircraft were thought to have been completed. Early aircraft were identified as V1 to V8. Production examples were designated C-09 to C-13. There still remains doubt about the fate of aircraft C-11 and C-13 said to have been flown to Naval Air Station Patuxent River, USA for testing. There is no corroboration and any further information is welcomed from readers who can clarify their fate. BV222.jpg Several aircraft early in the war were used to supply forces in North Africa, operating mainly to Tripoli. Other aircraft of 1. (Fern/See) Aufklaerungsgruppe 129 flew from a base at the salt water lagoon of Biscarrose in the bay of Biscay. BV 222 V3 and V5 aircraft were destroyed at their moorings there in June 1943 following an attack by RAF De Havilland Mosquitos. The V8 and V6 aircraft were shot down in separate incidents over the Mediterranean. The V1 aircraft was destroyed in a landing accident at Piraeus harbour. The C-10 aircraft was shot down by RAF nightfighters in late 1943. Following the Normandy invasion remaining BV 222 aircraft were formed into a unit controlled by the ultra secret KG 200. Of these, C-09 was destroyed at her moorings in the Baltic port of Travemünde by P-51 Mustang fighters. Late in the war her sisters V7 and V4 were scuttled at Travemünde and Kiel-Holtenau, respectively. The C-12 aircraft was flown by Captain Eric Brown to the RAF station at Calshot in 1946 with RAF markings "VP501". It was eventually scrapped in 1947. The V2 aircraft briefly wore US markings in 1946. Strangely the V2 aircraft had identification markings given to her from the original V5 aircraft for Operation Schatzgraber. V2 was later scuttled by the British who filled it with BV 222 spare parts from the base at Ilsvika to weigh her down. V2 was towed to a position between Fagervika and Monk's island where it is thought she now rests perfectly preserved on the seabed, owing to low oxygen levels in the water. There are plans to raise and restore this aircraft. 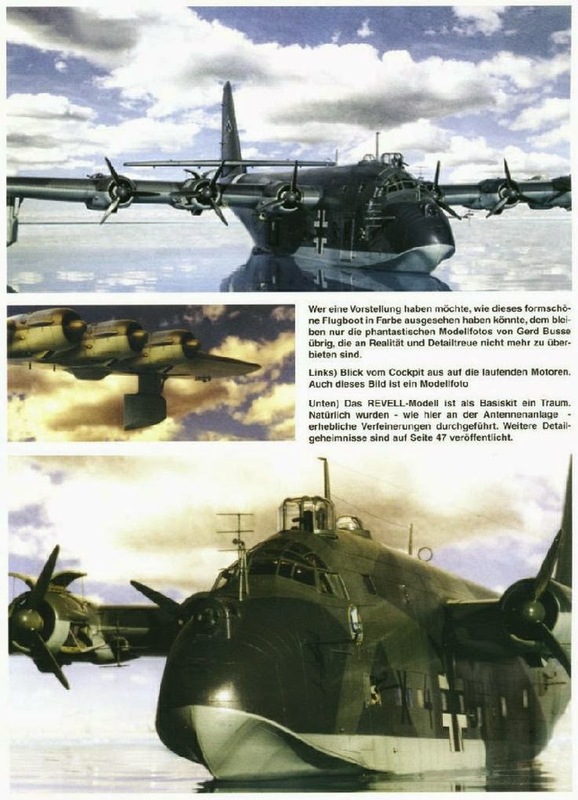 There were claims after the war in a German newspaper that at least one BV 222 flew via the pole to Sakhalin Island, then part of Japanese territory prior to April 1944 whilst wearing Deutsche Lufthansa markings. At least one aircraft, V4, is said to have shot down a US Navy PB4Y Liberator of VB-105 (BU#63917) commanded by Lt Evert. This epic air battle occurred October 22, 1943. Since the war this has often been quoted as a BV 222 shooting down an Avro Lancaster.